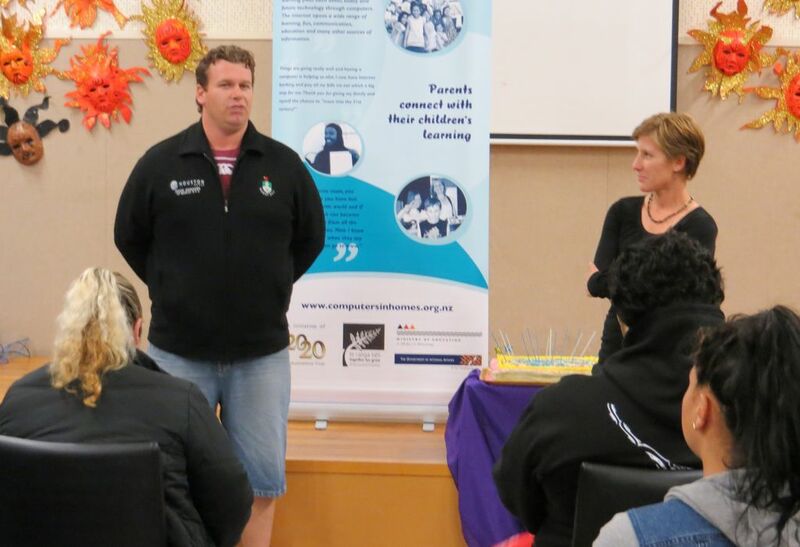 Andrew Dooley was nominated to speak on behalf of his group at Auckland Point graduation, and talked about the huge benefits of being involved with the CiH programme. Andrew is a solo parent of three children ranging from 6 –15 years, all attending Victory Primary School in Nelson. He was hosted by Auckland Point School for his Computers in Homes training. He has noticed benefits for all of his family. He is able to connect with his children’s school daily through their website. 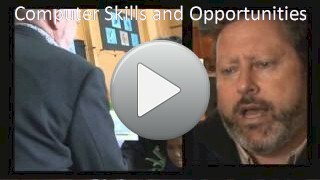 “I just didn’t realise, there were lots of things I was missing out on.” His children’s teachers email if there are any issues at school and a lot of times the children arrive home and he says “well what have you been up to today” and they say “how do you know?” So he is able to address situations early on. The school is starting to ask what is happening at home because they have noted positive changes to one child’s behaviour. Andrew puts it down to the computer – “if you don’t understand it you feel like an idiot in class, it is easier for you to get kicked out of class…. Andrew has found this course has also benefited himself. He says he now walks taller, with confidence, and where he would shy away when ‘pen and paper’ were put in front of him he will now give it a go. He is finding that being able to write something and push a button which will correct all mistakes is encouraging. He is noticing if he spells a word wrong he makes an effort to see how it looks and believes his reading has improved “big time”.